In Texas, we have seen a steady increase in participation in abolition groups. Though the work is slow, I believe the death penalty is on the way out. 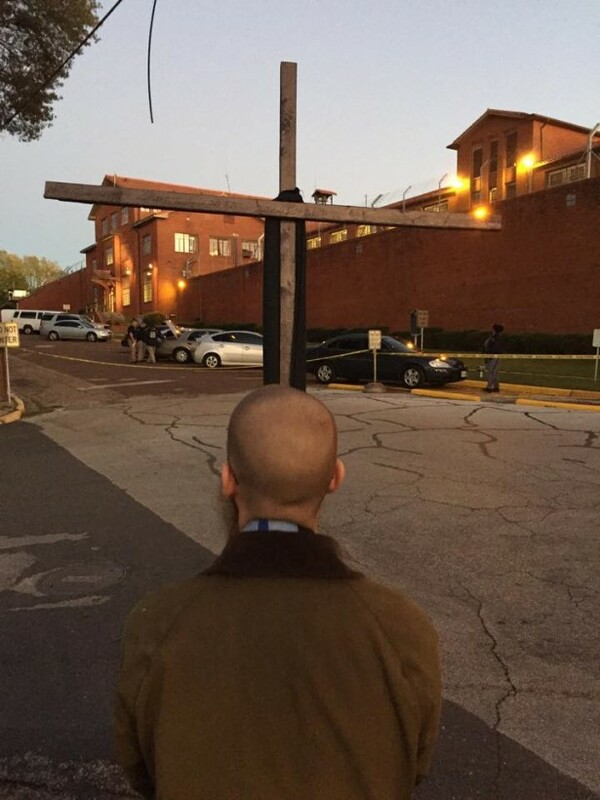 Last Wednesday, I took a short walk from my car to stand on the corner outside the old red prison walls of the Huntsville Unit as Texas killed Richard Masterson. Having led the nation for many decades, executions are a fairly routine event for Texans. Only the most ardent abolitionists show up to voice opposition. In those difficult hours as the sun started to set, I joined about a dozen others standing in defiance. I don’t believe in killing people. When I was a child, I learned about God killing a bunch of people in a flood. Before I could give it a second thought, I decided I didn’t believe in that right then and there. God doesn’t kill people. We do. Over the years, I’ve clung to Jesus for guidance in the midst of the killing. While loving your neighbor as yourself has never been vogue, I’ve tried to spread the message as best as I can. Repeatedly in the midst of crisis, I’ve had to remind people that loving and killing don’t go together. There is no way to lovingly kill your neighbor. I figured that this was an exceedingly logical conclusion. Then, I moved to Texas. While killing is terrible, it’s even worse to be around it and not do anything about it. When I moved here almost four years ago, I knew had to do something about the constant executions Texas was carrying out. Unfortunately, I didn’t know how to make a difference. From the shower to the car to the church to everywhere I went, I couldn’t think of anything else. Then, the Spirit of God snuck up on me. At an interfaith breakfast in Dallas almost three years ago, a Buddhist monk named Tashi Nyima stood up and relayed a story about giving our bodies to conversations for justice. I knew what I needed to do. I needed to start walking. Since then, I’ve trekked and hosted events on a small group 35-mile journey from Dallas to Fort Worth, a solo 200-mile journey from Livingston (home of death row) to Austin and a solo 43-mile journey from Livingston to Huntsville (execution chamber). 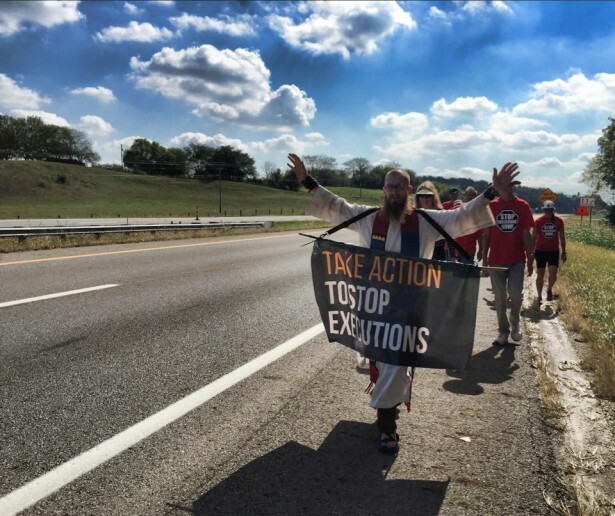 Just last year, I even got invited to help lead a couple of dozen walkers on an 80-mile journey for abolition in Ohio — from Lucasville (death row) to Columbus (execution chamber).